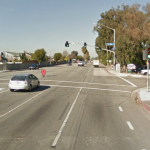 Oxnard, CA – February 24, 2015 UPDATE 8:27 a.m. – The driver of one of the commercial trucks involved in the collision with the Metrolink train fled the scene of the accident, but has been apprehended by police. The driver involved is on custody after being found a couple of miles down the road. 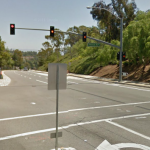 Oxnard, CA – February 24, 2015 – A bid rig tractor trailer on a Metrolink track in Ventura County collided with Metrolink train on Tuesday morning, causing the train to derail and turning four train cars on their side. At least 30 were injured and some passengers died. The injuries ranged from bumps and bruises to severe head injuries and reports of fatalities. The collision happened at 5th Street and Rice Avenue at approximately 5:45 a.m. Traffic in the area of Rice Avenue and Sturgis was closed. The train was the VC Line 102, which was headed southbound to Los Angeles. As a result of the collision, all southbound traffic on Rice Avenue at Sturgis Road was shut down. Officials are saying the train may have struck two commercial vehicles, as two trucks were on fire when officials reported to the scene. The rail crossing is heavily trafficked by commercial trucks. The subject train was the VC Line 102 Train, which runs daily. VC Line 104 will stop at Oxnard today due to officials clearing the tracks at the location of the VC Line 102 scene. The tragedy for the victims will now be multiplied by the truck company and Metrolink. Victims and families of deceased victims must now deal with the all too common aftermath of trying to determine liability for the collision. Adding insult to injury, both Metrolink and the big rig truck’s insurance company will refuse to accept responsibility, and claim the other is at fault, even in the face of clear evidence of liability. The collision occurred for a very simple reason; the truck was on the track because the driver of the truck put it there. 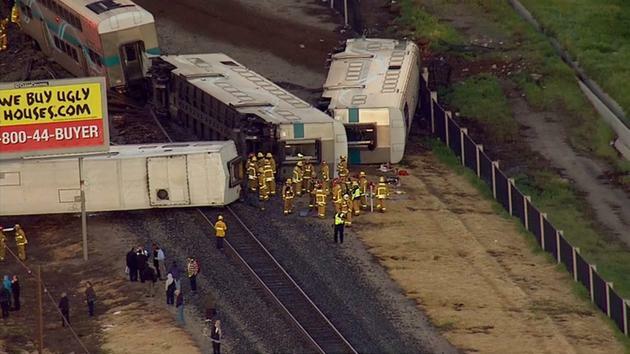 The Metrolink train collided with the truck because of inadequate and outdated safety systems. Hazards are to be expected on train tracks and trains and train operator should anticipate them. There may be liability on both the trucking company and Metrolink. This crash echos the 2008 Metrolink collision with a Union Pacific Train in Chatsworth which killed 25 people. In that accident, the Metrolink engineer disregarded a signal light that would have warned him to slow until the other train had passed. Attorney should promptly move to preserve evidence and obtain witness statements. Moreover, the National Transportation Safety Board will investigate the crash and attorneys should move promptly to obtain the results. Families or victims are able to file a claim for damages and should contact a personal injury attorney right away to preserve their rights. In addition, if you are a witness to the incident, please contact our office so that we may preserve your statement for the investigation. If you have any questions about the incident, or filing a claim on behalf of a loved one or injured family member, contact attorney Edmond El Dabe today.